WiFi as a separate overlay network currently leads the list of technologies and architectures for offloading data traffic; meanwhile, more sophisticated carrier WiFi architectures gain gradual traction as respondents look to bring WiFi into the mobile RAN via SIM-based service models or by deploying dual-mode WiFi/small cells, according to a new survey from Infonetics. “Carrier WiFi deployments are evolving to deliver the same quality of experience as mobile and fixed-line broadband service environments, and this is driving WiFi networks to become more closely integrated. Hotspot 2.0, a key tool developed by the industry to aid this drive, shows rapid adoption by carriers participating in our latest carrier WiFi survey,” notes Richard Webb, directing analyst for mobile backhaul and small cells at Infonetics Research. Respondents perceive Cisco and Ruckus Wireless as the top carrier WiFi manufacturers for second consecutive year. 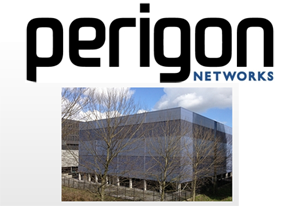 Perigon Networks opened a new Tier IV data center in Amsterdam -- its fifth global data center. In addition to the new Amsterdam location, Perigon Networks boasts datacenters in Manchester, England; Brisbane, Australia; and multiple locations in Omaha, Nebraska, as part of its growing global network. The company features a "PowerCasting" technology that allows enterprise-level clients to broadcast their websites simultaneously from multiple global datacenter locations for seamless localized performance and business continuity.